The Official Origin of the only salad dressing ever named for a region of the United States! The ‘Original’ Thousand Island Dressing has been featured 34 times on the Travel Channel’s Taste of America series with Mark Decarlo, twice on CBS Sunday Morning with Martha Teichner and most recently on Mysteries at the Museum in March, 2017. For more than a century, salad lovers around the world have enjoyed the appealing flavor of Thousand Island Dressing. Here is your opportunity to enjoy the ‘Original’ dressing that you, your family and friends can enjoy with every salad or make the best tasting burgers and Reuben sandwich in the world. 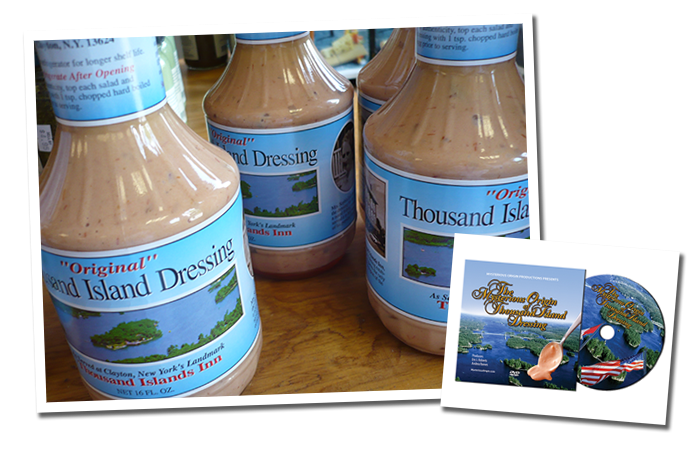 Purchase Thousand Island Dressing Online Today! The Original Thousand Island Dressing Price includes Dressing, Written History, Tax and Shipping. Dressing enjoys Priority Shipment with Assured 2-3 Business Day Delivery anywhere in the United States. Shipping and Delivery Tracking Information will be emailed to you by the shipper. Please select the desired quantity of dressing below and add it to your cart. Please Note! If you’d like to add the Mysterious Origins CD please click continue shopping in the upper-right hand of the shopping cart which will open in a new window. Thousand Island Dressing was first served on traditional Shore Dinners, prepared for visiting anglers on islands in the St. Lawrence River. The tradition lives on today and is recognized as one of the oldest standing traditions along the river. Come and enjoy the experience. 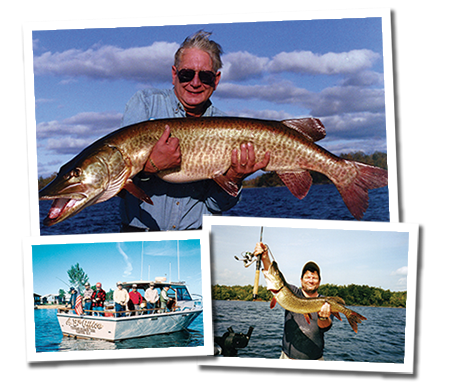 It’s no wonder that in 2018, for the 26th straight year, we are one of only 14 charter services in N.Y. State and the only one in the 1000 Islands Region approved by the North American Fishing Club, the largest sport fishing organization in the world, serving more than 500,000 angler members.